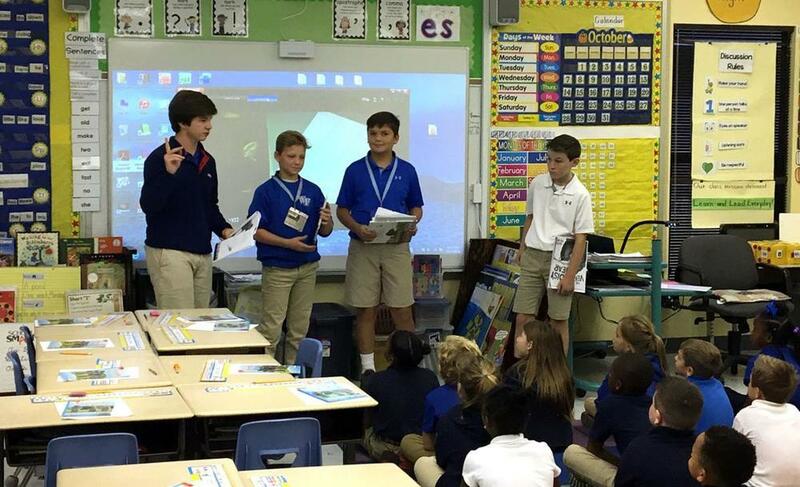 Students in Lacey Jewell's seventh-grade drama class at West Felliciana Middle School recently went to Bains Elementary and Bains Lower Elementary schools to participate in Read for the Record. The students read "Maybe Something Beautiful" by F. Isabel Campoy and Theresa Howell and performed the Bear Series by Nick Bland for the first and second grades and for several kindergarten classes. Read for the Record is a program of the Jumpstart early childhood education program that highlights the importance of building early literacy and language skills.